Anyone trying to help students develop their use of evidence and its application. My GCSE Philosophy and Ethics students sometimes have real trouble remembering to use evidence in their essays. In addition they often forget to explain the relevance of any evidence they offer. Sometimes they also end up using the same evidence over and over again. 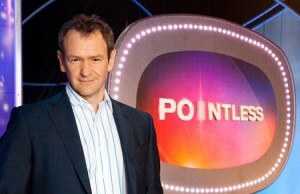 Pointless Evidence is loosely based on the game show “Pointless” and is really easy to play. Each student needs a piece of paper and a pen! The game starts with the naming of a topic, for example, I named: “Roman Catholic attitudes to abortion”. Students then had to write down a piece of evidence (a quote, teaching, ethical principle) that backed up this point of view, the idea being that you name a piece of evidence that you think no-one else will have thought of. After a minute we go around the room asking students for the evidence they have written down. For each other person that has the same “evidence” the relevant students get a point. The perfect answer is “pointless” (ie. no-one else thought of it). Once a few rounds have been played the student with the fewest points is the winner! The students enjoyed the game and it forced them to think about the choice of evidence they were selecting and how they were applying it to the issue in question. The game also generated some good discussion of which pieces of evidence were relevant and to what extent. This could just as well be used in history. It’s possible that an MFL teacher might be able to adapt the model for learning vocabulary.